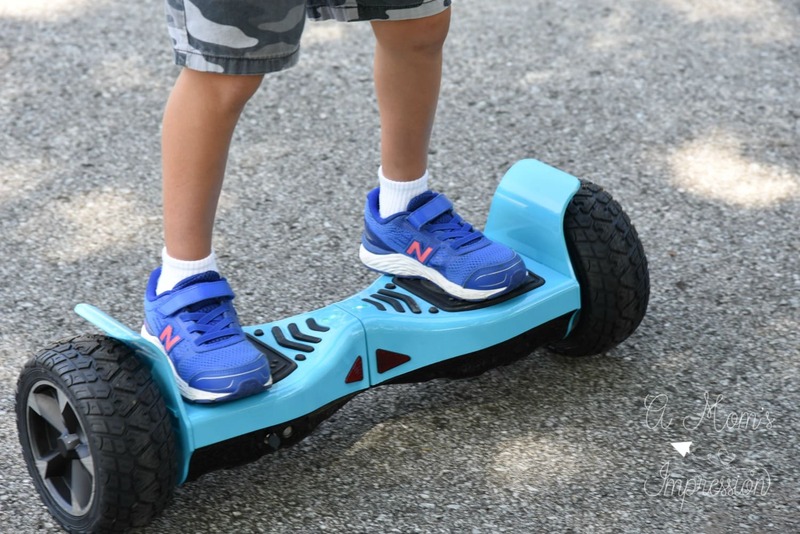 Are you looking for the best hoverboard for kids? 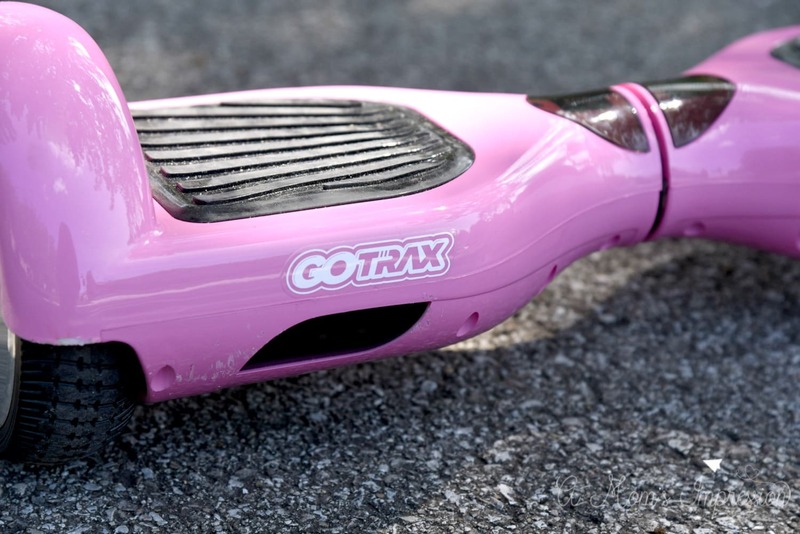 Check out our review of one of the best hoverboard companies on the market today, GOTRAX. Find out what makes their hoverboards different and how our 6 and 9 year-olds did when they tried to ride a hoverboard for the first time. If your looking to amp up the fun this summer, look no further than GOTRAX electric rideables. Based out of Denver, Colorado, GOTRAX is raising the bar with their products that include electric scooters, hoverboards, electric ATVs and more! We have a 6-year-old-girl and a 9-year-old-boy and we love to wander around our neighborhood in the summer. We often go for walks after dinner or head to the pool down the street in the heat of the day. Sometimes they will walk, sometimes they will ride their bike. When I heard about the products that GOTRAX has to offer, I thought this would be a great opportunity to try something new. We ordered the GOTRAX HOVERFLY ECO for my daughter and the GOTRAX HOVERFLY XL for my son on Amazon. There are several colors to choose from. We got Pulsar Pink (of course) for my daughter and Blue for my son. We also got two helmets from GOTRAX as well. The hoverboards came in the mail and I was very impressed with how easy they were to unpack and get started. All you really need to do is get them out of the box and plug them in with the provided power adapter. Once the hoverboard is charged, you are ready to blast into the GOTRAX Galaxy! While these boards are a ton of fun, they do take a little getting used to. It is just like riding a bike, at first it feels awkward but soon it is like second nature. 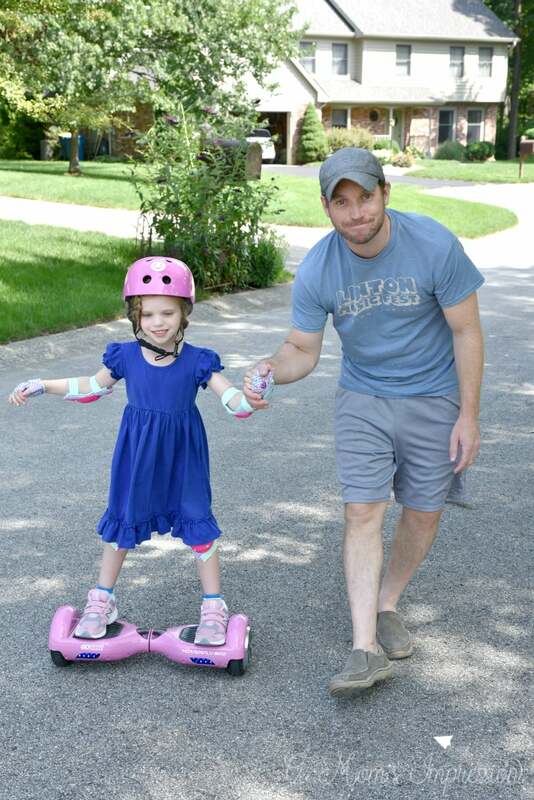 If you have children, I definitely suggest assisting them with learning to ride their hoverboard. Make sure they are wearing a helmet, knee/elbow pads, and wrist guards while riding. All of these are available from GOTRAX. Once you are all geared up, you are ready to take your first ride. Make sure you have plenty of clear space to use it and that there is nothing laying on the ground that might trip you up during your ride. All you need to do to power up your hoverboard is to press the power button the back of it. GOTRAX has also provided a very helpful training mode to make learning to ride a little easier. To board the hoverboard, just step up, one foot at a time, from behind. Again, this is a little tricky at first and is certainly suggest using the training mode in the beginning. Once you are on the hoverboard, just gently lean in the direction you want to go and you are on your way! Once you want to get off, just stop by standing up straight, quickly and smoothly step off the back of the hoverboard. I recommend watching some how-to videos on how to ride a hoverboard before you actually do it. I read through the manual with the kids before they got on it and we tried to practice balancing while they were on the carpet. We didn’t need to do this because we found out that it is a lot easier to balance on it when you are actually using them. 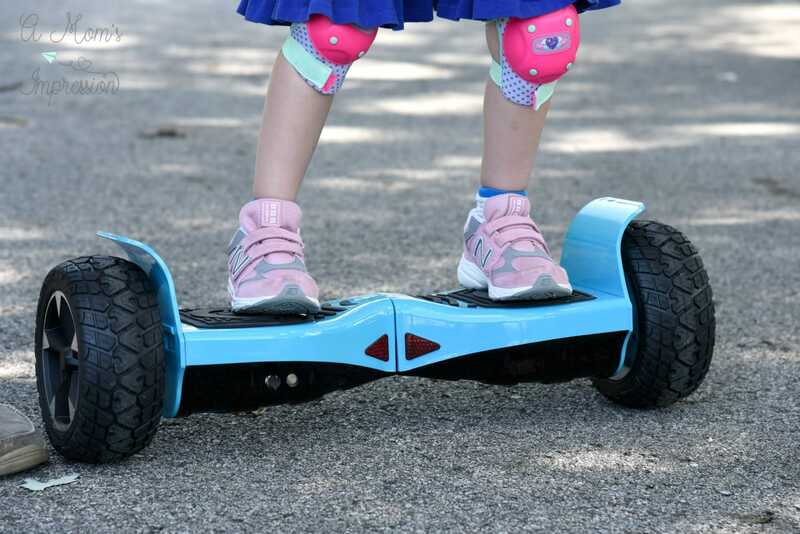 I personally think that there is a pretty big learning curve when it comes to young children using hoverboards. They got the hang of it much faster than my husband and I did, but that being said, I am still not comfortable with them riding them alone. I like to be out there when they are in use. 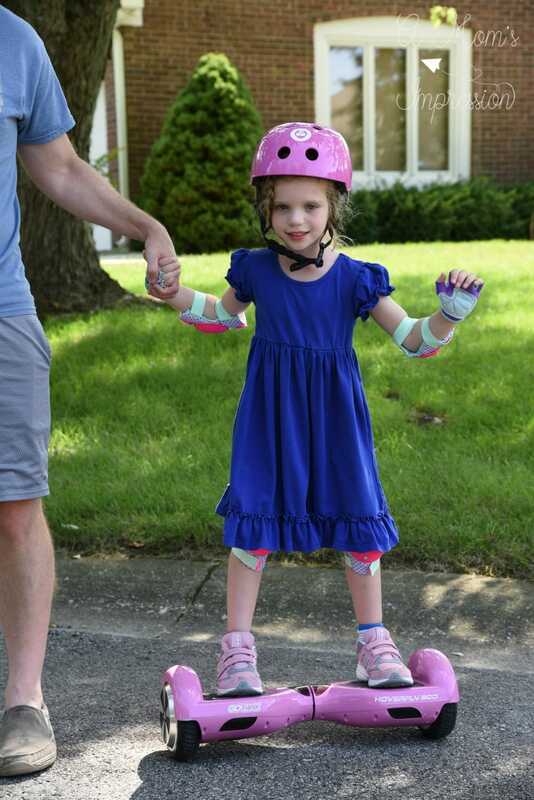 The kids adapted quickly to them and really love to ride their hoverboards. I’m probably being a little bit of a helicopter mom. Once we got the hang of them, we have had hours of fun on our GOTRAX HOVERFLY hoverboards. We have used them for our walks after dinner, taken them to the pool and use cruised around the cul-de-sac across the street. I was downtown last week and also say a businessman in a suit and tie heading to work with a GOTRAX hoverboard. Whatever your mission may be, try out the GOTRAX HOVERFLY hoverboards! 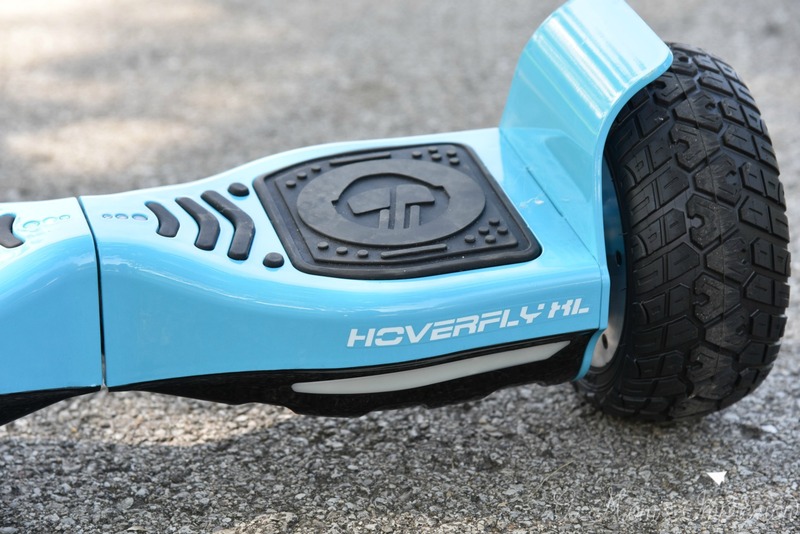 Hoverboard costs can vary greatly depending on what features you want. 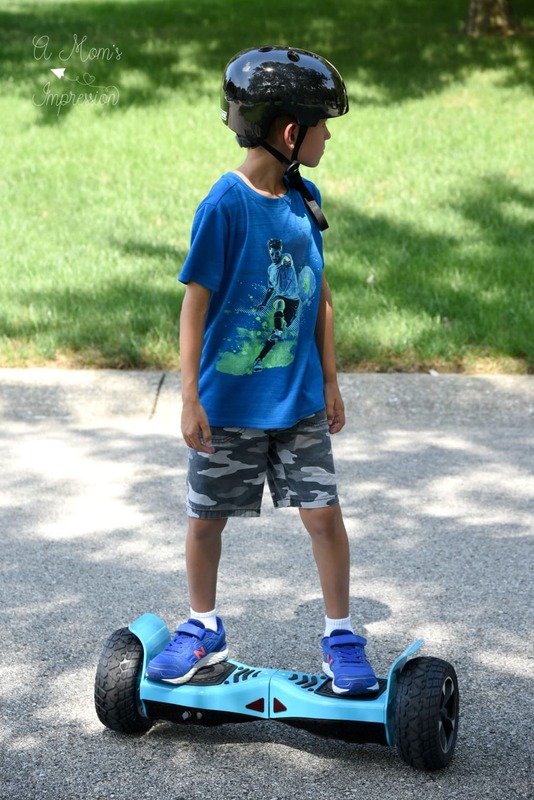 The GOTRAX HOVERFLY ECO is a great starter hoverboard for kids and can be purchased for about $180. The larger GOTRAX HOVERFLY XL retails for about $230. You can also get a fun GOTRAX Hoverfly Kart – Hover Board seat attachment for $70 that can convert your hoverboard into a go-kart! Don’t forget to purchase a helmet, knee pads and elbow pads too. They are essential when purchasing a hoverboard for kids. I encourage you to visit the GOTRAX website where you can learn more about the types of hoverboards and electric scooters they have available. You can purchase from them online or you can also shop at any of their trusted retailers like Amazon , Walmart and Dunham’s Sports.